There is a lot of good call centre software out in the market. We are invited to a large number of product vendor briefings. At a recent briefing I was asked to pull together a list of the companies that have most impressed me over the past year. 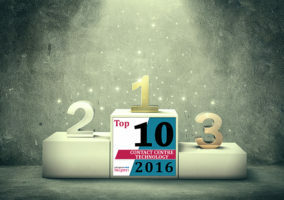 So here is the list of our top 10 call centre software (in no particular order). If you were to compare call centre software to cricket, then you would probably consider Interactive Intelligence to be a very good all-rounder. Your mind would be drawn towards Australia’s Adam Gilchrist, or if you start to show your age, Ian Botham. Their Customer Interaction Center (CIC) is an all-in-one software-based application for the contact centre combining the PBX/ACD communications platform with a wide range of call centre applications. All of the applications are available ‘out of the box’ and it is just a case of buying a licence to turn on the additional capability. The applications include quality monitoring & reporting, IVR, outbound dialing, knowledge management, workforce management (WFM), screen recording, agent scoring and multi-site routing. Release details: CIC as a product was introduced to the UK market in 1997, while Version 3.0 was released in April 2008. Typical Customers : HM Customs and Revenue, the London Borough of Brent, Raleigh UK. Typical price for a 100-agent call centre solution : Between £150,000 and £200,000, but that is largely dependent on the configuration of the solution. Genesys call centre software is one of the most open call routing software packages that integrates with most of the call centre communications systems. The Intelligent Customer Front Door combines call routing with IVR functions to route callers through to the best agent to handle that call. The software can identify the caller based on CLI- or IVR-supplied information and uses business rules to decide on how to deal with the caller. Routing decisions are then made based on matching the most relevant and available resources, including self-service, automatic call back and connection to the best agent to deal with the call. 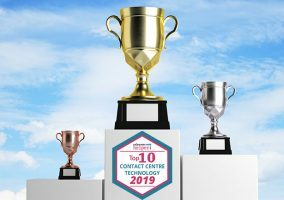 The Gartner Dataquest Market Share report (published June 2008) shows that Genesys had a word-wide contact centre market share of 10.6 per cent in 2007. Release details: Genesys software has been around for many years but the new IVR version of Intelligent Customer Front Door was introduced in August 2008. Approx number of customers using this software in the UK: Unknown. Typical customers : Ladbrokes, Scottish Power, Sky. Typical price for 100-agent call centre solution: Genesys will not provide pricing information, but my contacts indicate a ball park discounted figure of around £150,000 (including professional services). Aspect Unified IP is a session initiation protocol (SIP)–based software product that unites automatic call distribution (ACD), predictive dialling, voice portal, internet contact, workflow management, multichannel recording and quality management applications in a single software platform. In March 2008, Aspect and Microsoft announced an important strategic partnership – with Microsoft making an equity investment in Aspect. Aspect is enhancing its Unified IP software to interoperate with Microsoft’s platform for software-powered voice and unified communications (including interoperability with Microsoft Office Communications Server 2007). Approx number of customers using this software in the UK: Globally, there are 1,000+ Aspect Unified IP systems deployed worldwide. These serve around 200,000 agents in 34 countries. They could not provide a figure for the number of customers in the UK. Typical customers: Garlands Call Centres, iQor Recovery Services Ltd. Typical price for a 100-agent call centre solution: Pricing information was not available. Rostrvm call centre software can turn a phone system into a complete contact handling platform. It has a wide range of call handling facilities, including: inbound contact (ACD), outbound calling (predictive dialler), call and task blending, CTI and agent scripting. Rostrvm is best know for its dialler functionality. Rostrvm Solutions works closely with its customers– more than 80% of product development is derived from ideas suggested by users. They also hold the UK patent covering co-ordinated voice and data transfer in the call centre. Typical customers: EDF Energy, First Choice Holidays, and London Borough of Wandsworth. Avaya Customer Services Editions is a contact centre solution which combines software and components from Avaya’s Contact Center portfolio. It includes intelligent routing, contact management, self-service applications and operational performance. The Standard Edition includes skills-based data-directed routing, remote agents, premier reporting, desktop integration, self service and outbound preview dialling. The Advanced Edition enables execution of more sophisticated routing and any-media customer service strategies. This edition includes all the capabilities of the Standard Edition plus an SIP-based contact centre, predictive routing and resource selection algorithms, customisable desktops with support for multi-media. In the UK, according to MZA in 2007, Avaya has a 39% market share and holds the number one position. 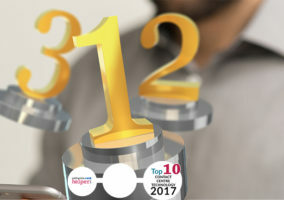 Approx number of customers using this software in the UK: There are over 1,000 contact centres in the UK running Avaya software, the number using Customer Services Editions is unknown. Typical customers : Bank of Ireland, Capita Business Services (BBC), Homeserve. Perspective is a real-time agent training and monitoring application. Perspective is a software package designed to help trainers and supervisors to improve call handling and customer service through Live support, monitoring and coaching of agents. The software allows managers to assist their agents, monitor progress and improve training whilst keeping total control of the applications and websites the agents can access. It allows you to broadcast your screen to groups or individuals, blank screens and lock keyboards to ensure you have your agents full attention during training sessions. The software also allows call centre trainers to deliver targeted training to agents whilst they are situated at their desks and enables you to deliver training quickly, easily and efficiently whilst allowing agents to ask any questions discreetly. Approx number of customers using this software in the UK : 3 in the fist 3 months since release this summer. Infinity Contact Manager is a suite of contact centre software applications designed to increase agent productivity and improve contact centre performance. Infinity Contact Manager increases agent productivity through desktop scripting and structured CRM, predictive dialling, CTI &multi-media, and improves contact centre performance through quality assurance, agent timesheets and performance reporting. What is impressive about Infinity Contact Manager is its scalability both in terms of number of agents and application capability. Contact centres are able to deploy a single application to meet a specific immediate issue, such as quality and compliance, or gain the benefits of a fully integrated suite. Infinity Contact Manager will also scale from the smallest to the largest contact centres. There are not many software solutions that you could recommend for the smaller contact centre – such as for a Housing Association. To deal with smaller contact centres they have also designed a “Contact Centre in a box“. Release details: Infinity Contact Manager was first developed in 1998 when Infinity CCS was part of Teleperformance. 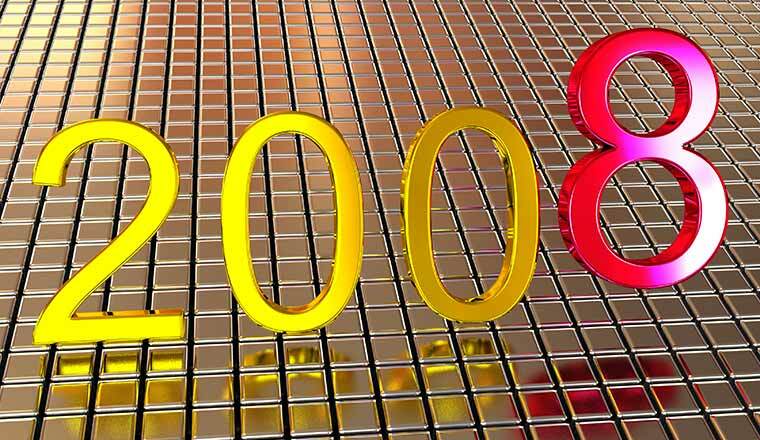 The current release Infinity (Contact Manager v3.6) was made generally available in 2008 following management buy-out of Infinity CCS from Teleperformance in 2007. Typical customers : Teleperformance UK, Maia Consulting, The Funding Corporation. Typical price for a 100-agent call centre solution: Owned & on-site – about £1,000 per seat = £100k which can be depreciated over 36 months. Hosted solution – about £80 per seat per month. However this is increased, significantly in some cases, by the hosters call costs. SmartPoint dashboards work alongside existing CRM systems to deliver relevant and timely customer information from back-office systems directly to the contact centre agent’s desktop. For example, if a sales person is on the phone to a customer and preparing a quotation in the sales system for a particular product, the software recognises this and immediately delivers additional contextual information. This might include prices recently quoted to the customer for this product, a data sheet, answers to any frequently asked questions and perhaps other products that complement this product. SmartPoint was ‘Highly Commended’ in the annual European Call Centre Awards in 2008. Release details: SmartPoint was introduced into the UK in January 2007. The latest version is SmartPoint (V.3.1.124). Typical customers : City of London Corporation, Midwich (high tech distributor), Canterbury City Council. In many contact centres one of the biggest targets for operational improvement and savings is in the area of process driven software. ciboodle specialises in CRM-type process flow applications. The software provides a unified view of all customer interaction history across touchpoints without the need to navigate multiple desktop applications. The software contains functions such as collecting all of a customer’s previous communications in one place for the operator to see, reminders to carry out previous promises to customers and live instant messaging facilities. In January 2008, ciboodle was estimated to account for 8% of the global market for process-based CRM software. Typical price for a 100-agent call centre solution : Pricing was not available from ciboodle, but known to be pricey. Other companies that have come onto our radar screen include – QPC Séntrel LMS & Virtual Class 2.0 agent evaluation software, OpenSpan integration software, Alivox software for language and accent identification, SpeechStorm Visual IVR and Nuance Voice Biometrics. So who would you have on your top ten? Please add your thoughts (No advertising).